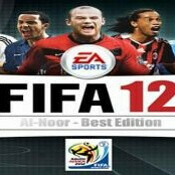 FIFA 12 is among the most popular soccer simulators and it’s Android version is already here, kind of. It’s not yet released on the market - actually it’s available exclusively on the Sony Ericsson Xperia PLAY, which will keep the exclusive right until February 2012. The game is optimized for the gamepad on the Xperia PLAY, so you can feel like you’re playing on your PlayStation, pushing those familiar physical buttons. The new additions to the game include improved gameplay depth, authentic commentaries, updated teams from the world’s top leagues and all new replay systems. Just recently, we saw Sony Ericsson make a real-life simulation of a soccer game with two teams of five real players controlled with the help of the Xperia PLAY. This should definitely get you in the mood for some soccer, so check out the video below to freshen up your mind. is now available for free for a limited time.